Congratulations Lorraine! 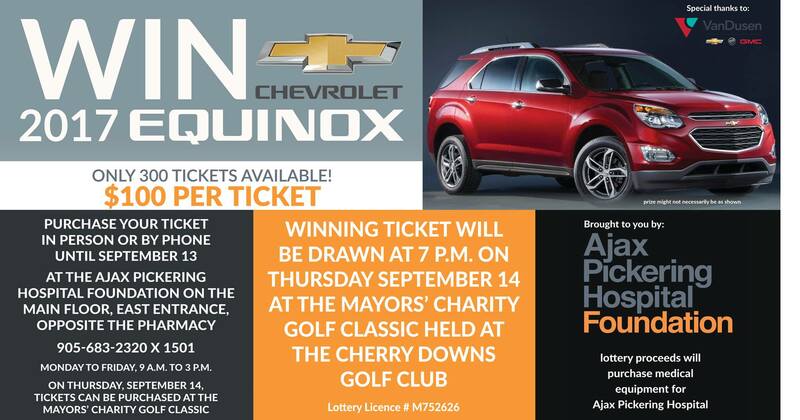 You are the lucky winner of the 2017 Chevrolet Equinox in the Ajax Pickering Hospital Foundation lottery. Her winning ticket was announced at the Mayors’ Charity Golf Classic held at the Cherry Downs Golf Club. 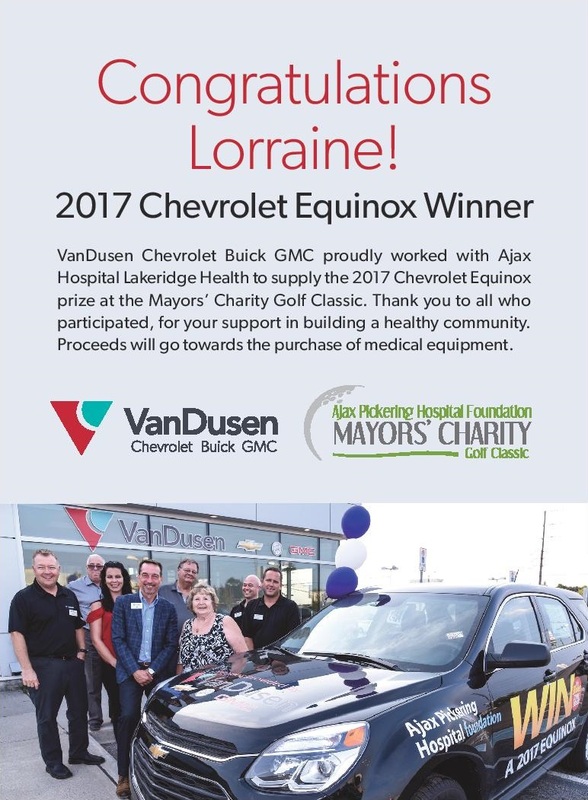 VanDusen Chevrolet Buick GMC and the Ajax Pickering Hospital Foundation gave away the Equinox in a lottery where proceeds went to the purchase of medical equipment for the Ajax Pickering Hospital Lakeridge Health.